We’re coming up on the 3-year anniversary of signing our lease at Light Lab, and it would be an understatement to say it’s been quite a journey since we first decided to renovate and open a creative studio here in Los Angeles! The way we use the space has evolved since we first broke ground, and we’ve now landed at a nice balance of using Light Lab for our own projects and renting it to others for theirs. We’ve never done any formal marketing and have relied solely on word of mouth to keep us going—and with projects like these building our reputation, it’s no wonder that we’ve had a steady flow of business since we first welcomed people through our doors! 1. Fancy Feast Spring Brunch: This was one of the very first shoots done at Light Lab and it remains to this day one of my favorites! It’s from a campaign I did for Fancy Feast, with a spring brunch table inspired by a new addition to their product lineup. 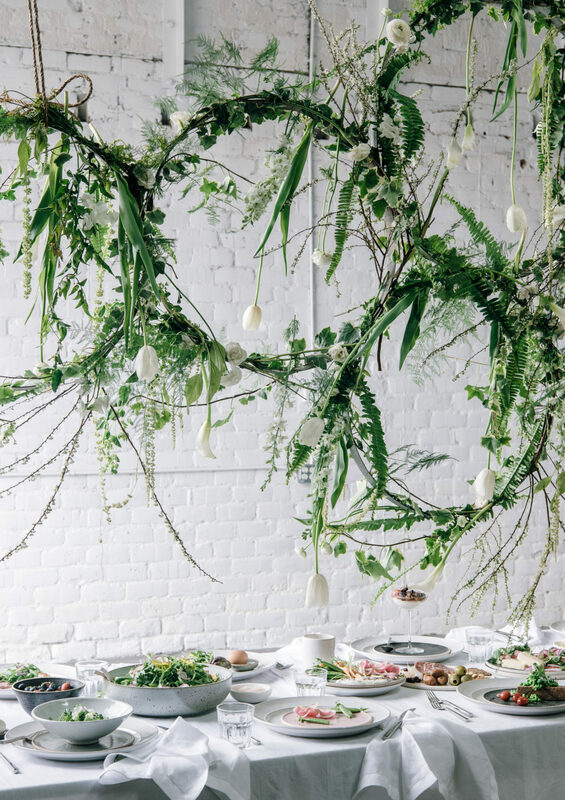 The images from this campaign have since become the most-pinned ever from my website, and now florists and wedding planners tell me that clients bring them these photos asking for similar floral installs all the time. The many parties and entertaining shoots that have been held at Light Lab since this inaugural occasion have had a high standard to meet, indeed! 2. 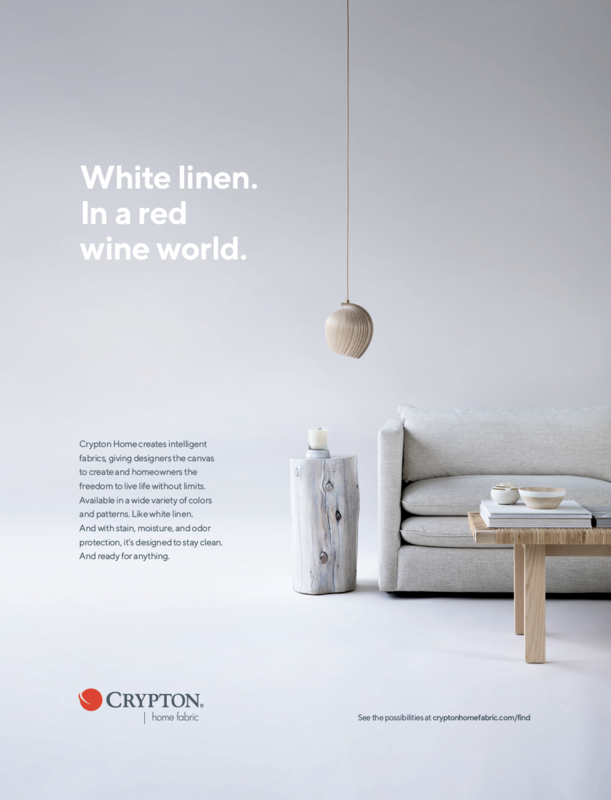 Over the summer, Crypton Home Fabric shot their first national print ad campaign at Light Lab! 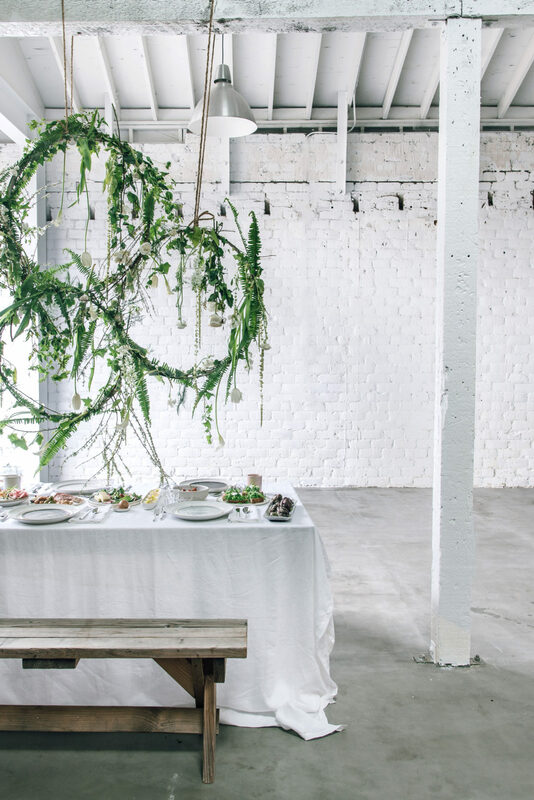 I played a role in art directing and styling this one, but it took the whole team at Echo + Earl to create five vignettes to be printed in published such as Domino, House Beautiful, and Magnolia Home. It’s so fun to be able to pick up a magazine at a newsstand and see ads shot at Light Lab sitting directly across from the editor’s letter! 3. 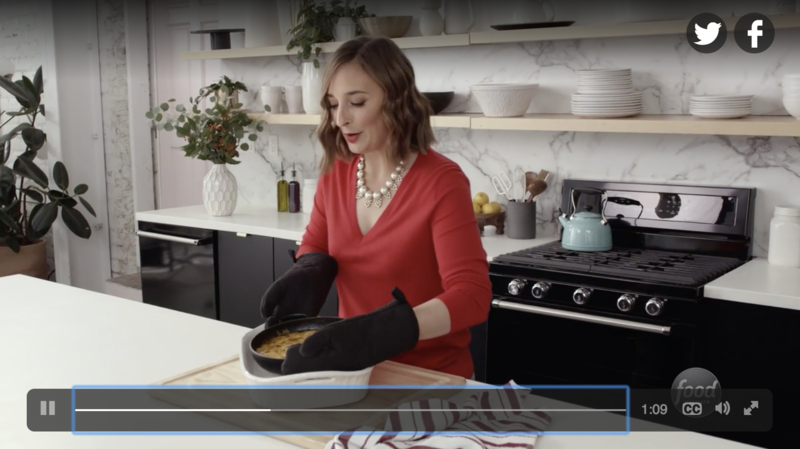 The Food Network + What’s Gaby Cooking: Last Christmas, The Food Network teamed up with Gaby from What’s Gaby Cooking for a series of holiday recipe and entertaining videos. The resulting party ideas are just as valuable a year later (and the recipes for appetizers and desserts look just as delish)! This was a huge production, with a crew of almost 40 people taking over not only Light Lab but also our adjoining parking lot for three days. Crazy how much work goes into creating a few videos, no?! 4. 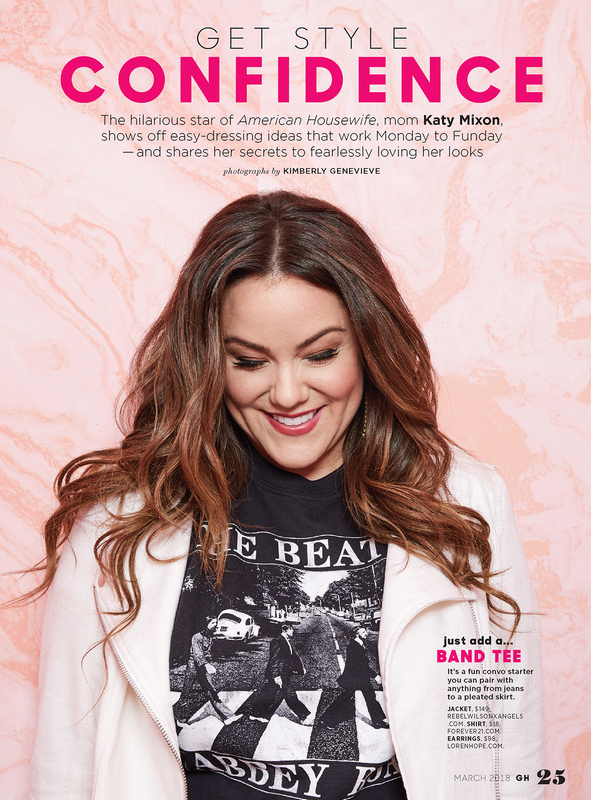 March 2018 Good Housekeeping Cover Story: When we got the call from Good Housekeeping that they wanted to shoot their March 2018 cover story at Light Lab, I definitely pinched myself! They also wanted the studio to do wardrobe fittings the day before, but we were already booked—so I offered up my house for the purpose. Little did I know that Katy Nixon from American Housewife would be trying on outfits in my bedroom! The spirited and playful backdrops at Light Lab lent themselves perfectly to a feature story highlighting Katy’s fun personality. 5. Lay’s National TV Ad: Earlier this year Lay’s shot a national TV spot in our kitchen. 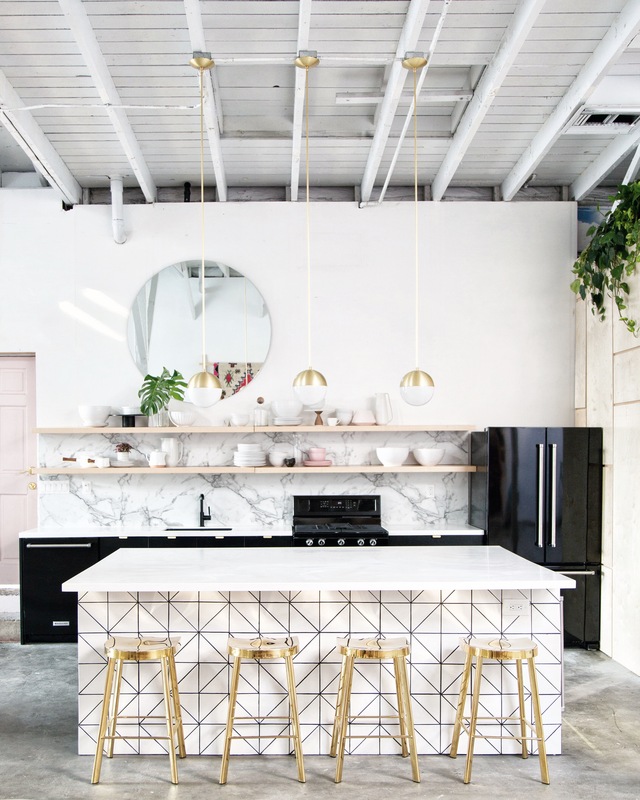 One reason I think so many food-related projects have been done at Light Lab is those open shelves: They’re perfect for styling exactly to suit whatever colors need to be incorporated, just as they did here for the yellow and green of the Lay’s packaging! 6. Last but not least, Disney has been a regular client of ours since we first opened for business, capturing tons of their social content and product promos in the studio. 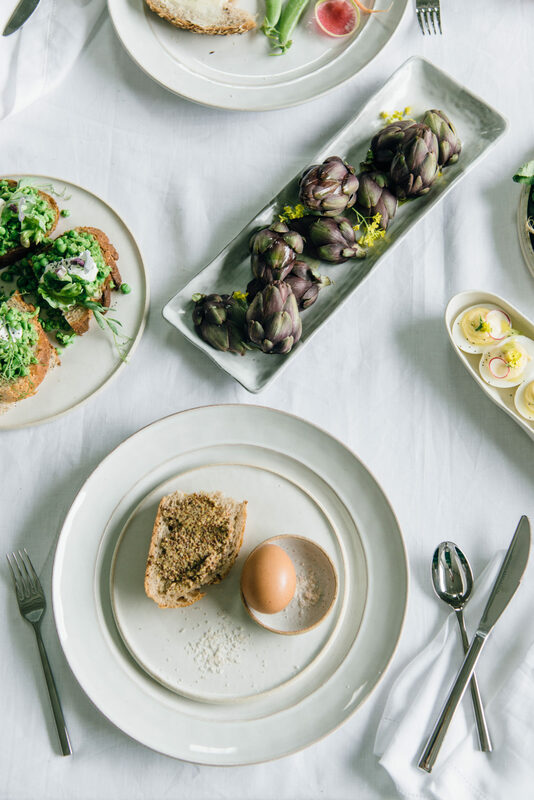 When they recently launched their new food site Disney Eats, they rang us up for several days of shooting recipes that incorporate classic Disney characters and themes. Once again, our kitchen shelves were transformed! As we near the renewal of our lease, it’s so fun to look back on all that’s happened at Light Lab—and imagine what the next three years will bring! Images: Fancy Feast photos by Carly Rudd. Good Housekeeping photos by Kim Genevieve.